Situated in the village of Albrighton, Shropshire, mid-way between Wolverhampton & Telford the club can be easily reached in 5 minutes from J3 on the M54. 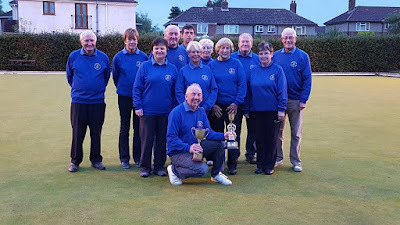 Each week, the Club puts out 7 Crown Green Bowling teams of all age groups, in various leagues, in and around the Telford area and the Highley league. Although league bowling has an important role within the club, there is also a strong social bowling cadre giving those who simply wish to bowl socially somewhere to meet and make new friends. Not only focused on Crown Green Bowling the club has an active social life which includes BBQ, Quizzes and Horse racing events. We are especially proud of our link with Albrighton Football Club who we share our facilities with at the Albrighton Sports Complex. For this reason the Complex proudly boasts "successfully providing a sports facility for eight to eighty year olds within the local community". If you are interested in trying the game of Crown Green Bowls then simply contact one of the committee members (click here), who will be happy to arrange a free taster session for you at our club, lasting about 1 hour.